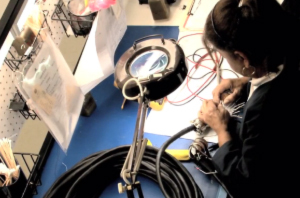 Superior products demand accurate assembly. 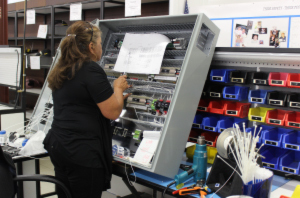 Our technicians are trained and certified in a wide variety of skills, from printed circuit board soldering to high-speed gearbox assembly to cryogenic rocket engine fuel valves testing. Atec has Certified IPC Trainers (CITs) on staff that are specialists in the latest J-STD-001 and J-STD-001 Space Addendum applications. 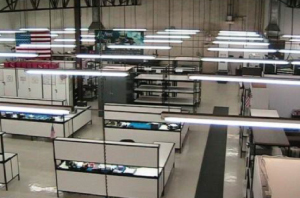 Low volume through-hole and surface mount PCBs are regularly produced and repaired internally. Higher volumes of PCBs are effectively outsourced. 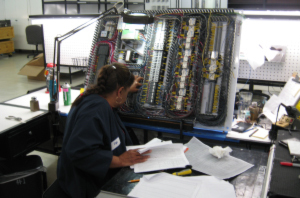 Atec has the skills to tackle the most complicated assemblies. Beyond the component level, Atec can integrate and test diverse assemblies into complex, large scale products. Atec is adept at both leading edge and legacy techniques, such as precision hand and CNC coil winding. Atec’s quality procedures, clean rooms, detailed documentation and comprehensive production control system ensure the accurate assembly of the most demanding products.